Yesterday when our driver was trying to locate the way to el-Jib (= Gibeon) we passed an area in the territory of Benjamin where someone, presumably a Bedouin, had two tents, some small fields, a truck, and a donkey tethered out front. Donkey and Bedouin Tents Near Gibeon. Photo by Ferrell Jenkins. There are many biblical references to the donkey. I will list just one for now. The importance of the donkey is seen in the Ten Commandments. The neighbor’s donkey is not to be coveted. Most urban dwellers of today would never think of doing that. But in Bible times the donkey was used in the fields, carried heavy loads, provided transportation for the owner, and supplied fertilizer for some crops. 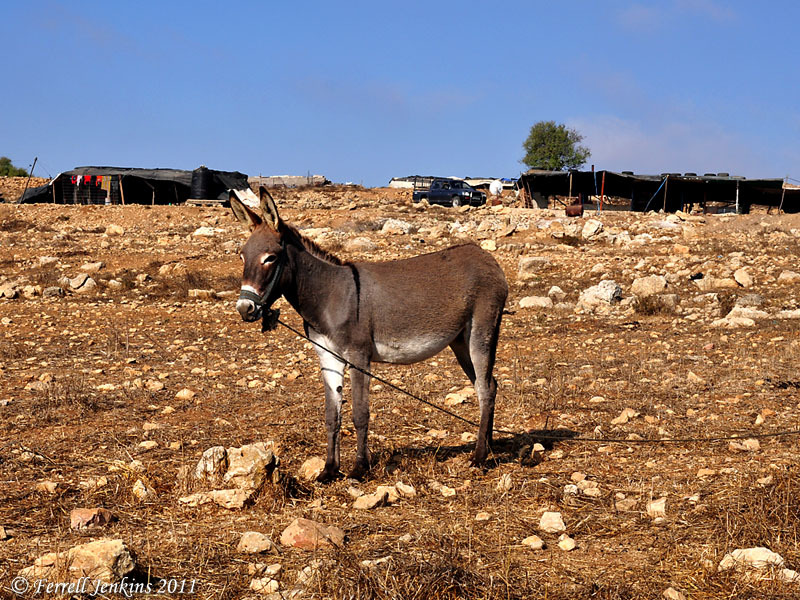 This entry was posted in Bible Places, Bible Study, Culture, Israel, Photography, Travel and tagged Animals, West Bank. Bookmark the permalink.